As the number of resources on the web exceeds by far the number of documents one can track, it becomes increasingly difficult to remain up to date on ones own areas of interest. 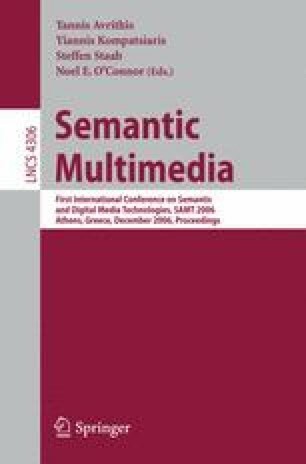 The problem becomes more severe with the increasing fraction of multimedia data, from which it is difficult to extract some conceptual description of their contents. One way to overcome this problem are social bookmark tools, which are rapidly emerging on the web. In such systems, users are setting up lightweight conceptual structures called folksonomies, and overcome thus the knowledge acquisition bottleneck. As more and more people participate in the effort, the use of a common vocabulary becomes more and more stable. We present an approach for discovering topic-specific trends within folksonomies. It is based on a differential adaptation of the PageRank algorithm to the triadic hypergraph structure of a folksonomy. The approach allows for any kind of data, as it does not rely on the internal structure of the documents. In particular, this allows to consider different data types in the same analysis step. We run experiments on a large-scale real-world snapshot of a social bookmarking system.